My husband is now preparing to take a load of teens to teen camp at the end of the month. Missionary and local pastors take on many of the volunteer jobs at camp. Art has been volunteered to teach the teens, by groups, how to start a puppet ministry in their churches. Missionary pastors have to be ready to preach, pray, or die at a moment’s notice. Art has performed his share of puppet shows as well, during our time as missionaries. In the last twenty years however, most of our puppet shows have been performed by puppet teams. 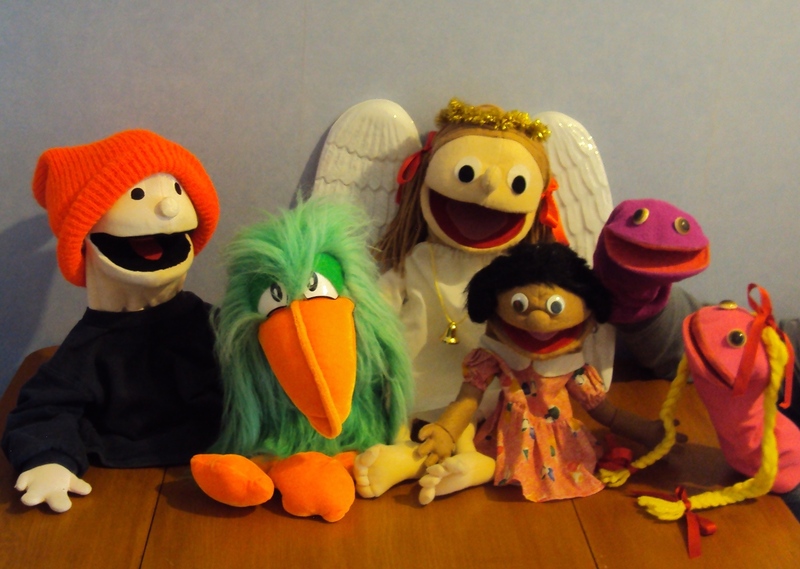 Lori, our own daughter, started our first puppet team in New Zealand. Most of the time I’ve supervised the puppet team, but I’m not planning on going to teen camp this year. Art has had adequate experience and I’m sure he will do a good job. Since I write most of our puppet shows and lead most of our puppet teams, however, I wanted to help him out. While I’m preparing material for camp, I’m also writing up these materials to help others who want to start puppet teams. If you’re thinking of starting a puppet team in your church, you might find these articles helpful. Should Our Church Start a Puppet Ministry?